Can you believe it’s already July? Summertime goes by fast, and if you don’t take some time to savor it, this glorious season will be gone before you know it. So slow down, relax and enjoy these long sun-drenched days that stretch into mellow summer nights. Get your family out and enjoy some good old-fashioned fun full of new experiences destined to become some of their all-time favorite memories. There is no better time or place for carefree family fun than summer in Branson! From outdoor adventure on Table Rock Lake to Branson’s best shows and attractions, there’s no end to the opportunities for excitement. 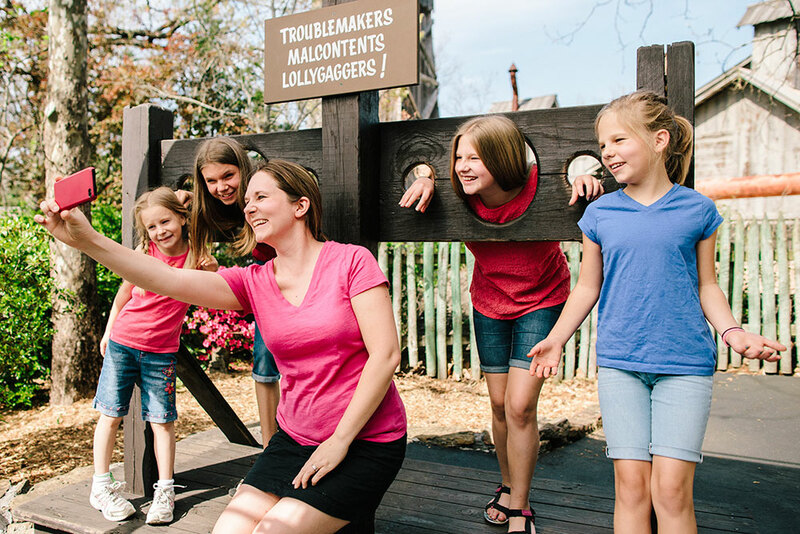 We couldn’t possibly detail them all, so here are our top 6 ways to play this summer at Silver Dollar City Attractions. 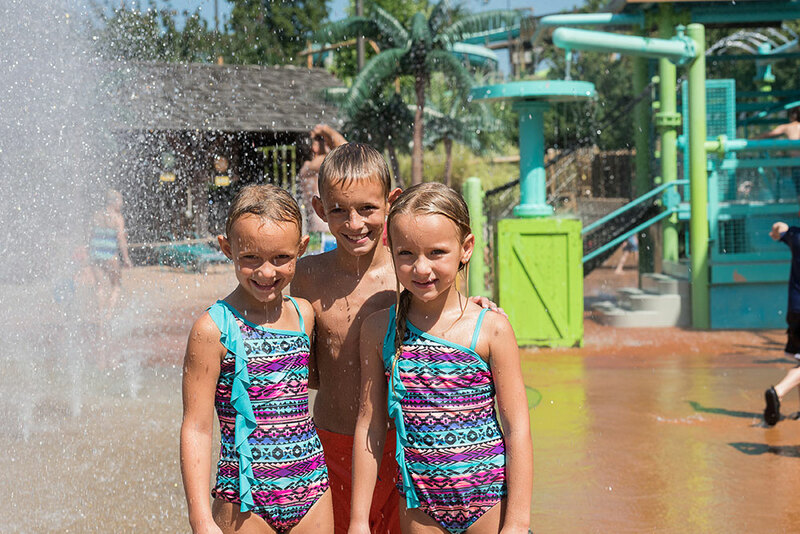 With 13 acres of rides, slides and activity pools, it’s easy to see why White Water is a top spot for summer fun for the whole family. If you’re a fan of big thrills, you can’t miss the excitement of slides like Kalani Towers and KaPau Plummet. For little ones, there are areas just for them including Coconut Cove and Splashaway Cay. Plus, enjoy adventures for the whole family like the Aloha River at Hula Hula Bay, Ohana Falls and the 50,000-gallon Surf’s Up Wave Pool. And, make sure you’re there for Night Water, Fridays & Saturdays July 6 – August 4, featuring extended hours until 10pm and exclusive discounts on food and merchandise. Plus, each Saturday, Night Water ends with a bang with a fireworks display beginning at 9:45pm. Table Rock Lake is the jewel of Southwest Missouri with calm, clear water and over 800 miles of pristine shoreline. 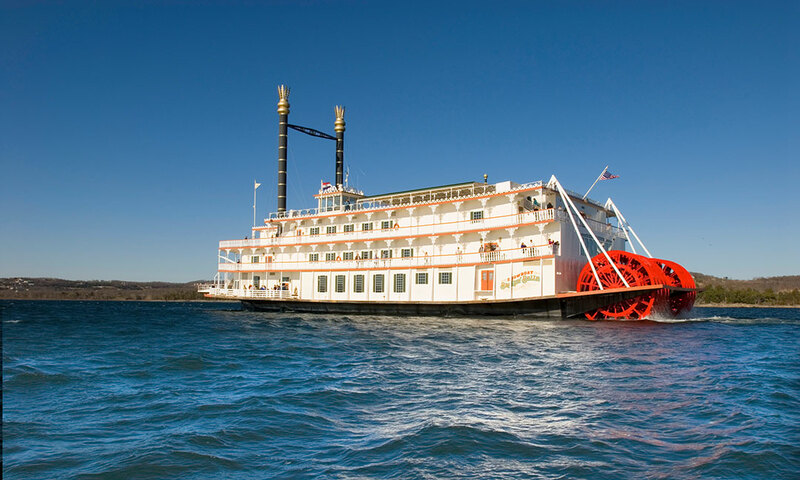 Enjoy panoramic views of the picturesque Ozark hills and cool summer breezes from 4 grand decks during your unforgettable cruise aboard the Showboat Branson Belle. Each cruise features a delicious 3-course meal, an incredible variety show and, of course, plenty of top-deck time to soak up the beauty of Table Rock Lake. Plus, every Sunday in July during the 8pm cruise, you’ll see a stunning fireworks display during intermission. Seating is limited for these popular fireworks cruises so book your seat today. 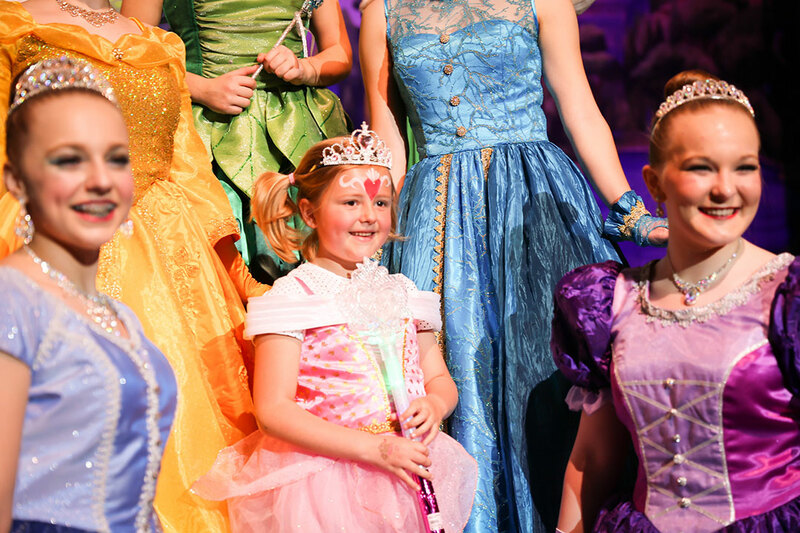 Turn your lake adventure into a fairy tale come true aboard the Showboat’s Princess & Pirate Cruises, each Saturday & Sunday in July at 9am. Come dressed in your best princess or pirate costume and enjoy fun activities beginning at 8am, a dance party on the top deck, a new show, photo ops with lovely princesses and daring pirates and a delicious pancake breakfast, all on gorgeous Table Rock Lake! Summertime is family time! Enjoy an all-American summer at Silver Dollar City. Don’t miss incredible family entertainment including the kings of a capella, Rockapella, and the return of Chris Perondi’s Stunt Dog Experience. Plus, meet your favorite cartoon characters and, of course, play all day on over 40 thrilling rides & attractions including Time Traveler™ – The World’s Fastest, Steepest & Tallest Spinning Coaster! 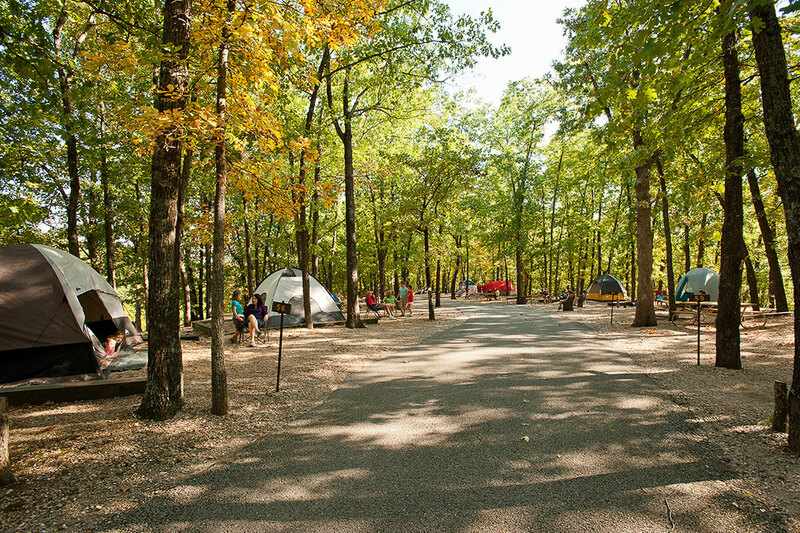 Plan your family’s Ozark Mountain getaway in a tent, cabin or RV at Silver Dollar City’s Wilderness Campground. This shady Ozark Mountain haven is close to all of the best Branson activities and features unbeatable amenities including a free shuttle to Silver Dollar City! Ride into the night with extended ride hours until 10pm during summer’s biggest party – Silver Dollar City’s Moonlight Madness. You can blast through the night on over 40 rides and attractions, enjoy nightly street dances on the Square, see magical new entertainment and take advantage of special deals on food and merchandise and more. Plus, join us each of the 16 nights of Moonlight Madness for the free variety show Hits From The Hollow featuring a Fireworks Finale brought to you by Humana. Ride until 12am with 2 special Midnight Madness dates, July 28 & August 4! 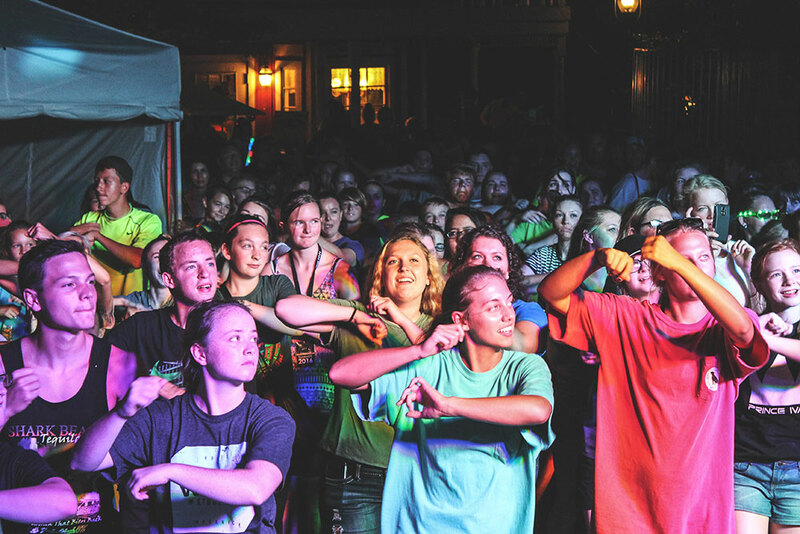 These special days feature everything you love about Moonlight Madness and live performances on the Gazebo Stage including Members Only on July 28 and The Mixtapes on August 4. Silver Dollar City & White Water 2 Park Season Passes: Get unlimited visits to both parks for their entire respective operating seasons including both night-time events, Moonlight Madness & Night Water. Plus, save on Showboat Branson Belle* cruises and get an exclusive discount at Silver Dollar City's Wilderness Campground. 2 Park, 3 Day Splash & Play Tickets: Enjoy the flexibility to come and go between both parks for 3 days. Plus, enjoy merchandise coupons and save on the Showboat Branson Belle*, too. Or, view other ticket options and start planning your perfect summer today! *Please note: Showboat Branson Belle discounts valid in general seating only; not valid on specialty cruises including Princess & Pirate Cruises.